The Itsy Bitsy Spider is a rhyme that has been around for generations now. 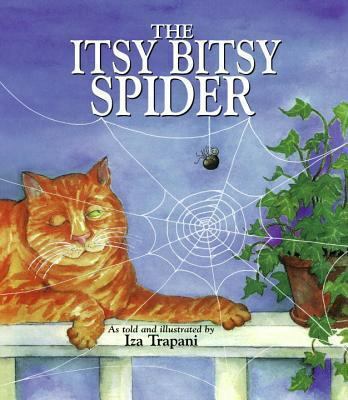 Recently, during a storytime at the library, I used the book The Itsy Bitsy Spider by Iza Trapani. In this book, we encounter the beloved spider not only climbing up the water spout, but going on many additional adventures as well. Building on the traditional rhyme, Itsy now travels up a kitchen wall, a yellow pail, and a rocking chair, encountering obstacles along the way. The book can be sung or read. The children really enjoyed singing a song that was already familiar to them and listened closely to the entire book. The Itsy Bitsy spider climbed up upon the sink. In walked my brother to get a big cool drink. Then the Itsy Bitsy spider went outside to play. Another creative activity uses an example from an old book of mine, Ed Emberley’s Fingerprint Drawing Book. 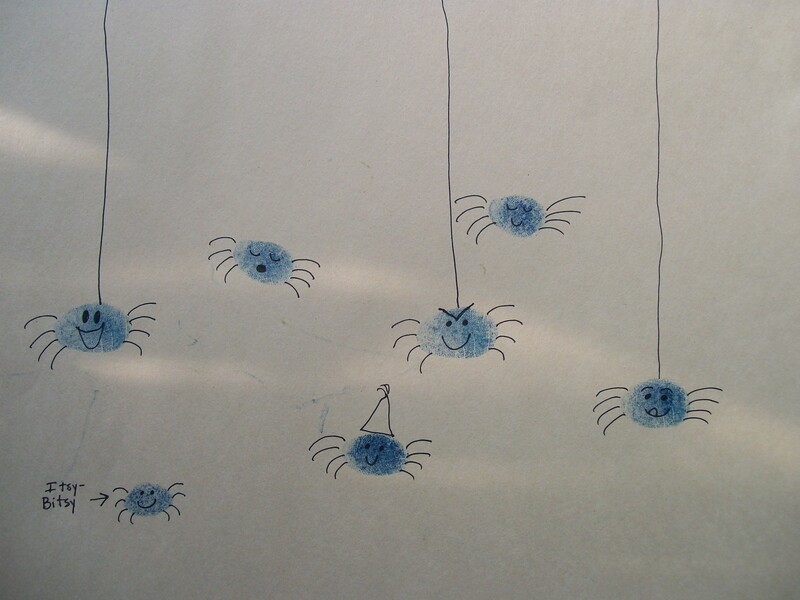 Get out those washable ink pads and markers and make a whole cluster of little spiders.